For our October 2016 pick in our 12 Months of Birding at the Inn blog series, we’ve selected a bird that, like us, loves to be in the woods. Since the Inn on Mill Creek B&B is situated inside Pisgah National Forest, keep an eye out for one of its year-round residents, the Cooper’s Hawk. 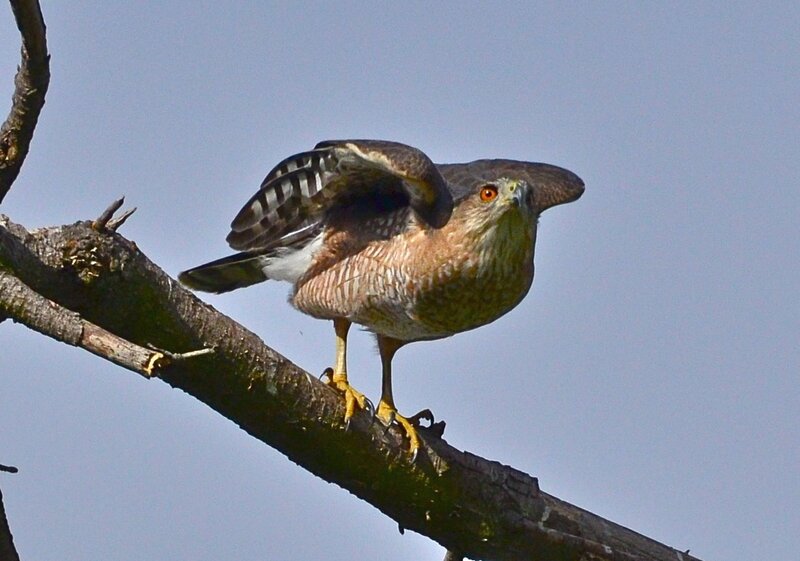 The Cooper’s Hawk is our favorite hawk (shh, don’t tell the other hawks). They are absolutely beautiful. Adults have a bluish-gray body with reddish streaking on the chest, broad shoulders and wings and a long, rounded tail that has broad dark bands. Their heads are somewhat large. One cool feature is that their eyes start out a yellow color and darken to red as they get older. In terms of size, Cooper’s Hawks are generally smaller than Red-tailed Hawks and fairly thin, but are still medium-sized in the hawk world. 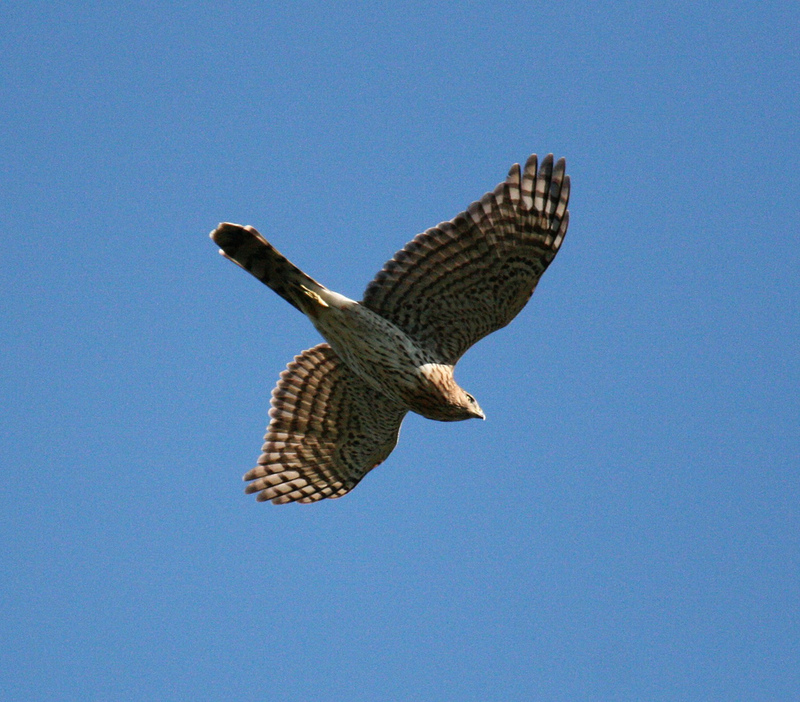 If you have the fortune of seeing a Cooper’s Hawk in flight, you’ll notice that they flap their wings just a few times and then majestically glide. They also have mad flying skills, able to speed through the trees when chasing their prey (which is mostly birds…watch out, Mourning Doves!). When looking for Cooper’s Hawks in the woods around Asheville, NC, you’re more likely to see them than hear them as they are stealthy and mostly silent unless it’s during breeding season. For samples of their different calls, check the Cornell Lab of Ornithology website.